You are currently viewing Archived reports for the week of 9 March-15 March 2016. 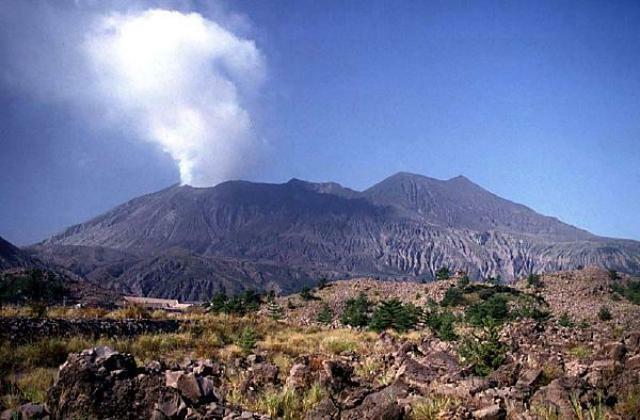 JMA reported that during 7-14 March white plumes rose as high as 600 m above Asosan’s Nakadake Crater. Seismicity was low. The Alert Level remained at 2 (on a scale of 1-5). 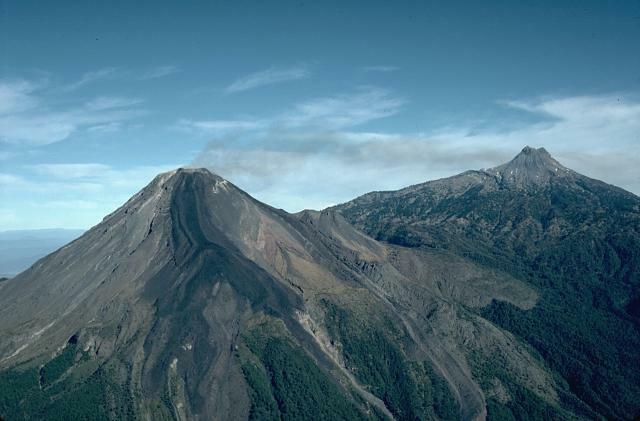 INSIVUMEH reported that on 11 March an explosion from Caliente cone, part of Santa María's Santiaguito lava-dome complex, generated a white plume that rose 500 m and drifted SW. Ashfall was reported in Monte Claro (S). Cloud cover on 13 and 15 March prevented visual observations. 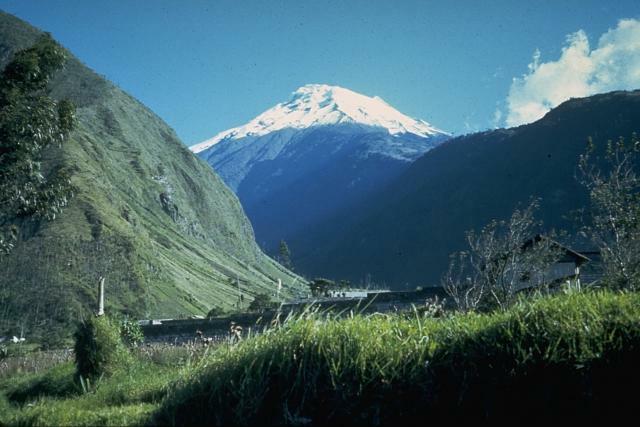 IG reported that moderate-to-high levels of activity at Tungurahua continued during 9-15 March. 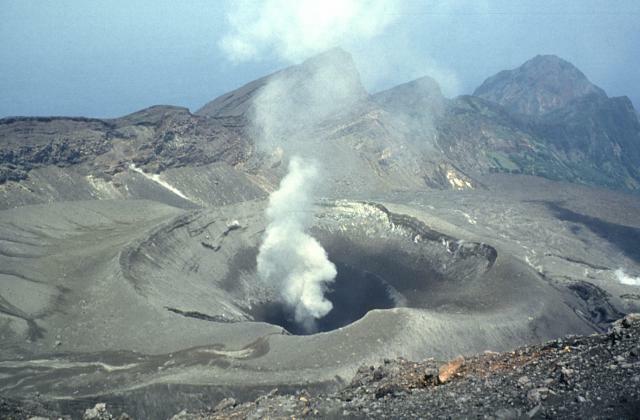 Gas-and-ash plumes rose from the crater on most days, often to heights less than 2 km above the crater, and drifted NW, W, WSW, and SW; cloud cover sometimes obscured views of the volcano. 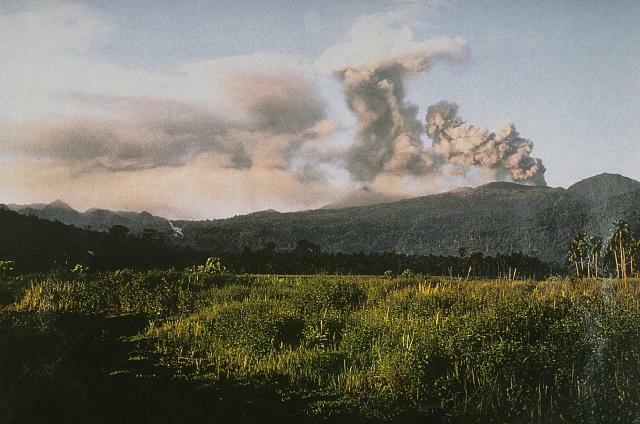 Explosions were recorded daily, and crater incandescence was reported almost nightly. Ash fell on 9 March in Pillate (8 km W), El Manzano (8 km SW), Cotaló (8 km NW), and Macas. 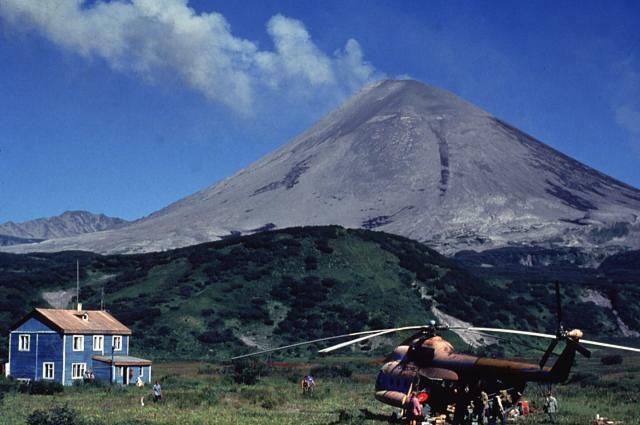 On 10 March a small pyroclastic flow traveled 1.5 km NW down the Achupashal drainage. On 15 March residents in the Runtún sector (NNE) heard an explosion and sounds resembling rolling rocks on the NE flank. Ash fell in Patate (NW) and Juive (7 km NNW). Based on analyses of satellite imagery and model data, the Darwin VAAC reported that on 11 March ash plumes from Bagana rose to an altitude of 2.1 km (7,000 ft) a.s.l. and drifted almost 40 km SE. Based on analyses of satellite imagery and wind data, and information from PVMBG, the Darwin VAAC reported that during 9-13 and 15 March ash plumes from Dukono rose to altitudes of 2.4-3 km (8,000-10,000 ft) a.s.l. and drifted 45-100 km S, SW, W, and NW. 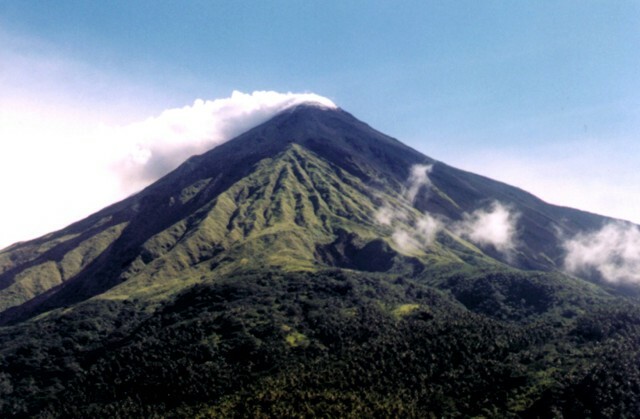 Based on observations conducted at the Karangetang Volcano Observation Post in the village of Salili, PVMBG reported that during 1 February-[15 March] the lava dome was incandescent at night. 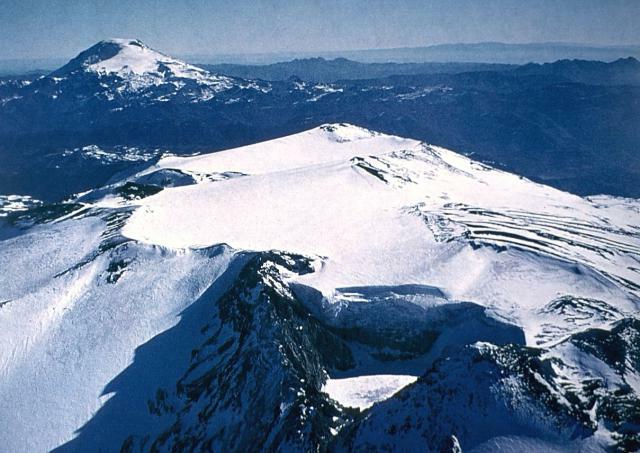 Variable amounts of white and blue emissions rose as high as 150 m above Main Crater. 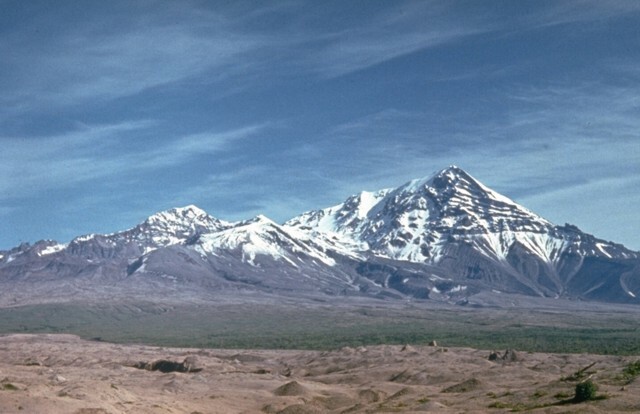 Seismicity was dominated by shallow volcanic earthquakes; volcanic and multi-phase earthquakes declined though signals indicated that lava-dome growth continued. Thermal anomalies had not been detected in satellite images since 8 March. The Alert Level was lowered to 2 (on a scale of 1-4); visitors and residents were warned not to approach Karangetang within a 1.5-km radius. KVERT reported that moderate activity at Karymsky continued during 4-11 March. The Aviation Color Code remained at Orange. 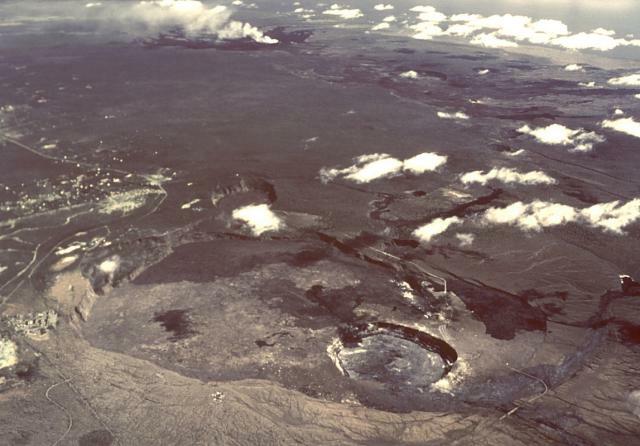 HVO reported that seismicity beneath Kilauea's summit, upper East Rift Zone, and Southwest Rift Zone was at background levels during 9-15 March. The lava lake continued to circulate and spatter in the Overlook vent. The June 27th NE-trending lava flow continued to be active within 6 km NE of Pu'u 'O'o Crater. 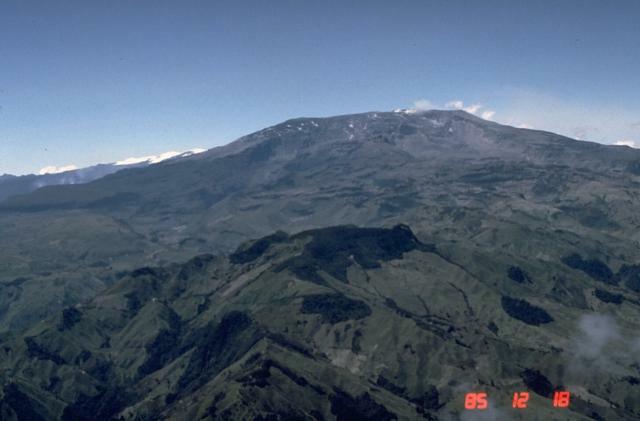 Servicio Geológico Colombiano’s (SGC) Observatorio Vulcanológico y Sismológico de Manizales reported that during 8-14 March seismicity at Nevado del Ruiz was characterized by long-period earthquakes, episodes of continuous tremor, and pulses of volcanic tremor associated with gas-and-ash emissions. A gas, steam, and ash plume rose 1.8 km and drifted SW on 8 March. 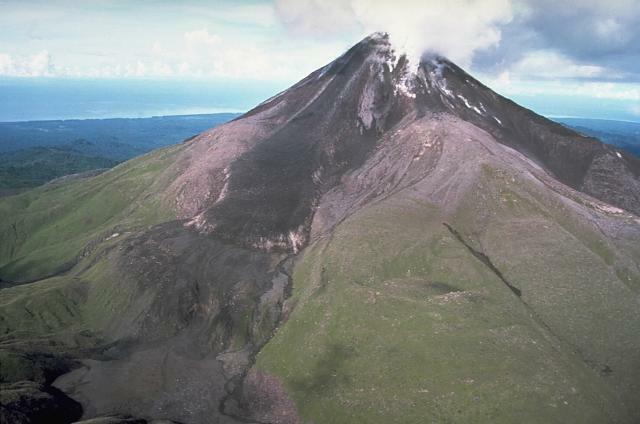 The next day an episode of volcanic tremor was associated with an ash emission recorded by the webcam and observed by National Park officials. Seismicity increased during 12-13 March. 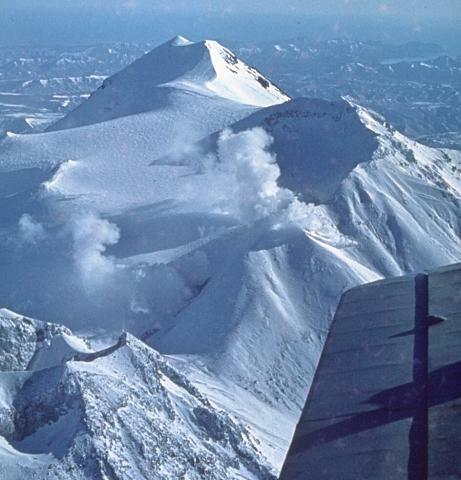 The largest earthquake was recorded at 0233 on 12 March; it was a local M 3, NW of Arenas Crater at a depth of 5.6 km. 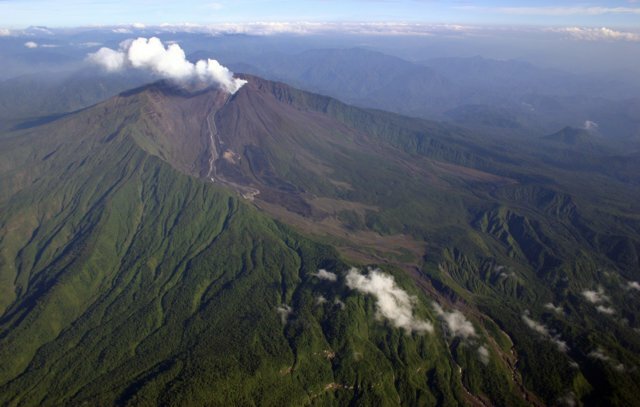 Significant amounts of water vapor and gas rose from the crater during the week. The Alert Level remained at III (Yellow; "changes in the behavior of volcanic activity"). 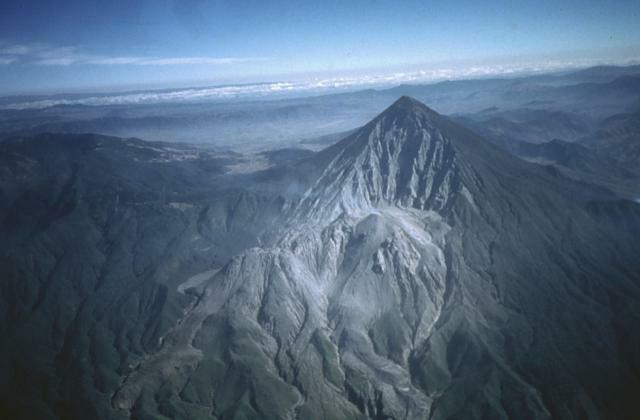 During 9-15 March IG reported a high level of seismic activity including explosions, volcano-tectonic events, long-period earthquakes, harmonic tremor, and signals indicating emissions at Reventador; cloud cover often prevented visual observations. On 9 March an explosion at 0505 ejected blocks that fell onto the flanks 1.2 km from the crater. An explosion at 0640 produced an ash plume that rose 1 km and drifted NW. 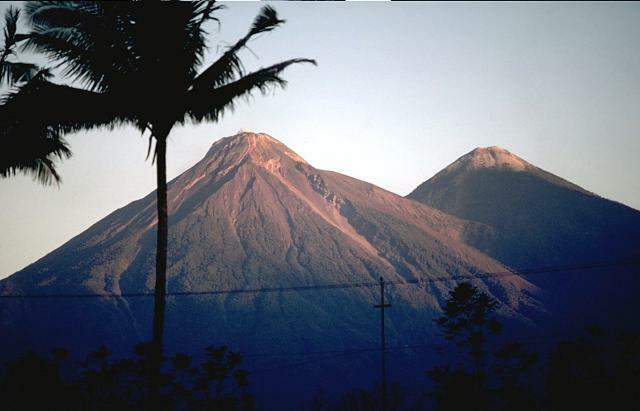 At night during 9-10 March blocks traveled 1.2 km down the flanks and a small pyroclastic flow also descended the flanks. An explosion on 10 March generated an ash-and-steam plume that rose 1 km and drifted SW. Steam-and-ash emissions were occasionally seen through cloud cover on 13 March. 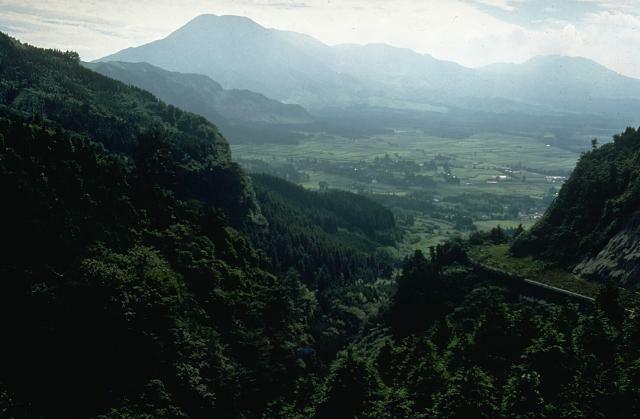 The next day the crater was incandescent and blocks rolled 500 m down all flanks. Steam-and-gas plumes rose 800 m and drifted NW. 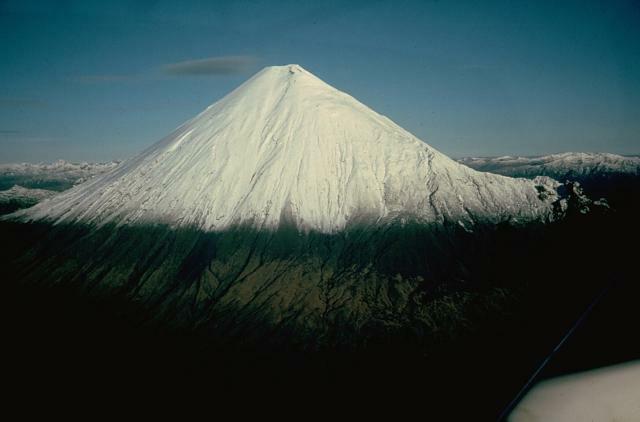 KVERT reported that during 4-11 March lava-dome extrusion onto Sheveluch’s N flank was accompanied by strong fumarolic activity, dome incandescence, ash explosions, and hot avalanches. 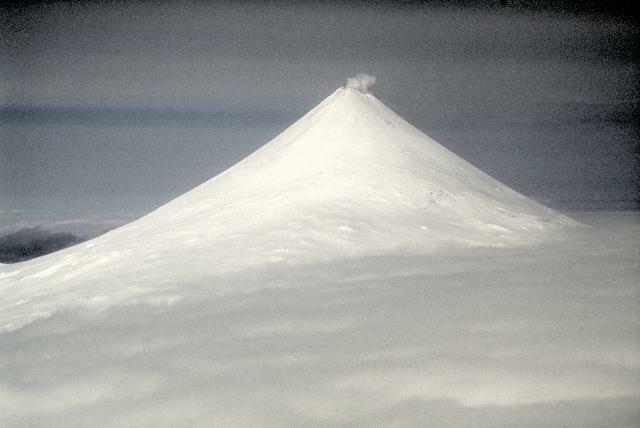 Satellite images detected a daily and intense thermal anomaly over the dome. The Aviation Color Code remained at Orange. 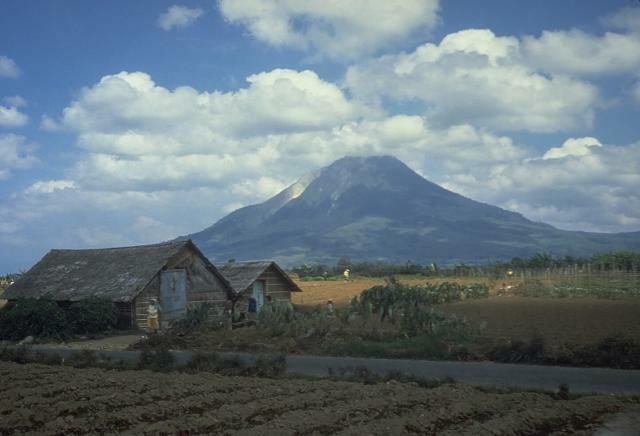 Based on satellite images, ground reports, and information from PVMBG, the Darwin VAAC reported that during 9-10 and 13-15 March ash plumes from Sinabung rose to altitudes of 3.6-4.9 km (12,000-16,000 ft) a.s.l. 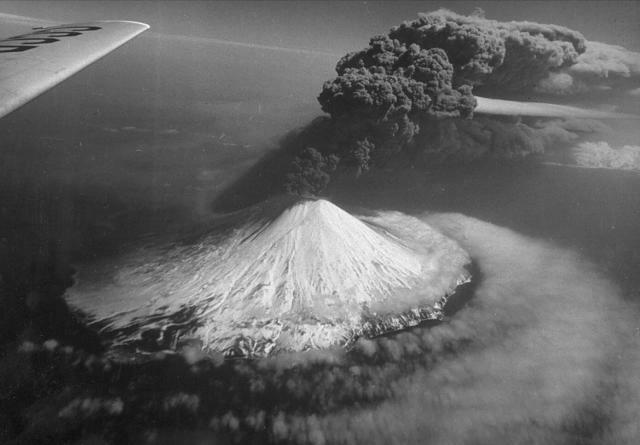 and drifted 25-55 km NW, W, and SW.
Based on JMA notices and satellite-image analyses, the Tokyo VAAC reported that on 11 March an explosion at Suwanosejima generated a plume that rose to an altitude of 1.5 km (5,000 ft) a.s.l. and drifted SE.